This domain is found in eukaryotic proteins. 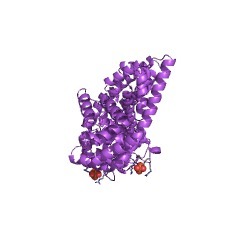 A human nuclear protein with this domain (Q8WYA6) is thought to have a role in apoptosis [(PUBMED:12659813)]. 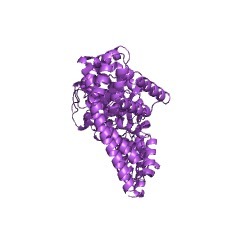 This entry represents the N-terminal domain of the beta-catenin-like protein 1 (CTNNBL1). 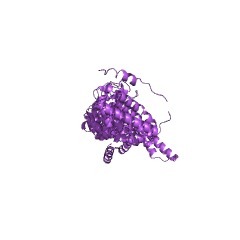 CTNNBL1 is a component of the PRP19-CDC5L complex that forms an integral part of the spliceosome and is required for activating pre-mRNA splicing. In humans, it participates in AID/AICDA-mediated Ig class switching recombination (CSR) and may induce apoptosis [(PUBMED:12659813), (PUBMED:18722174)]. There are 1502 DUF1716 domains in 1499 proteins in SMART's nrdb database. Taxonomic distribution of proteins containing DUF1716 domain. This tree includes only several representative species. 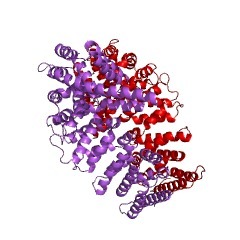 The complete taxonomic breakdown of all proteins with DUF1716 domain is also avaliable. Click on the protein counts, or double click on taxonomic names to display all proteins containing DUF1716 domain in the selected taxonomic class. 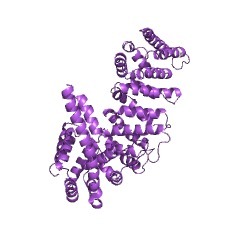 Sequence, gene structure, and expression pattern of CTNNBL1, a minor-classintron-containing gene--evidence for a role in apoptosis. 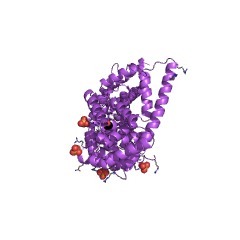 We have identified and characterized a cDNA designated CTNNBL1 (catenin(cadherin-associated protein), beta-like 1) coding for a protein of 563 aminoacids having predicted structural homology to beta-catenin and other armadillo(arm) family proteins. CTNNBL1 is expressed in multiple human tissues, and itssequence is conserved across widely divergent species. 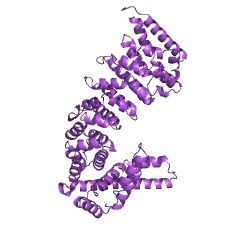 The human CTNNBL1 gene on chromosome 20q11.2 contains 16 exons spanning > 178 kb. Intron 4 is a minor-classintron bearing AT at the 5' splice site and AC at the 3' splice site. An acidicdomain, as well as a putative bipartite nuclear localization signal, a nuclearexport signal, a leucine-isoleucine zipper, and phosphorylation motifs arepresent in the protein sequence. Transient expression of CTNNBL1 in CHO cellsresults in localization to the nucleus and apoptosis. The rate of cell death was higher when cells were transfected with a carboxy-terminal fragment of CTNNBL1,suggesting that the apoptosis-inducing activity is a function of this region.